This bearer of light music, soothes and facilitates the channeling of healing energy to the therapist. The 10 tracks that compose it are linked in an uninterrupted sequence of 60mn with the bell every 3 minutes. By the beauty and serenity that emerge, this music will also be the perfect support for your relaxation, méditation, wellness and massage. We are pleased to make you discover it on Radio PLENITUDE, every day, from October 29 until November 12 before it enters in a regular programming. 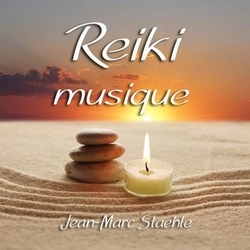 Rêve de Fée by Jean-Marc Staehle, album october 2017, listening on Radio PLENITUDE from october 11, 2017.